This is a pair of working couplings. They are suitable for locomotives, coaches & wagons. Nothing to assemble, just screw into place. 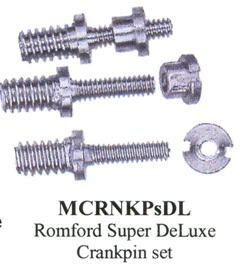 This is a pair of ready-built, working, screw couplings suitable for locos, coaches & XP freight stock. Only available for converting Darstaed coaches suppied by Scale Link Ltd..